You’ve heard how fast plants grow in a hydroponics system. You’ve heard about the huge harvests. Once you have it set up you will only need to spend a small amount of time per day monitoring the plants. Discover shortcuts that will help you build a hydroponics setup quickly and easily… and cheaply. 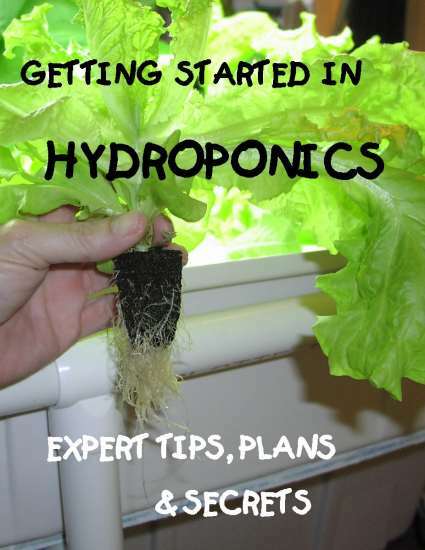 Hydroponics is NOT complicated once you understand how to get started. There are five types of hydroponics systems, and this ebook will show you why matching the right system to your situation can save you a lot of frustration. Plants grown in hydroponics have their roots in a clean neutral media such as clay balls or perlite, instead of dirt. A nutrient solution is circulated to the roots via a pump or wick action. The plants don’t have to waste energy developing a large root system because the food is delivered right to the roots. Since it no longer has to search for its food, the plant’s growth and energy are redirected to lush foliage and abundant flowers and fruit. 1. How are you going to build it? 2. Is there going to be enough space and light? 3. How are you going to maintain it? Before you start gluing pipe together shouldn’t you decide which system is best for you? This e-book will take you on a journey, almost like going down a garden path, and help match the right system to your situation. The quickest, easiest hydroponics system to build. You can get started in hours rather than days and the system is built from common materials so you can save money. 5 ways you can get started in hydroponics on a pauper’s budget. You don’t have to get the most complex system to get incredible results. There are 2 plans that can be built out of common materials you may already have. You can get the rest at Home Depot. Which crops to grow and which to stay away from. You can grow just about anything with hydroponics, but some plants will take over, stealing light and space from smaller plants. Here you’ll learn which plants are the smartest, easiest… and tastiest. A Forbidden Hideaway. The last chapter in the book shows you how to create a space in your home to grow plants that nobody will know about. To the outside world you are an ordinary neighbor. But inside “the Grow Box” a different world exists that makes plants grow like crazy. *And don’t miss the bonus secret to supercharging your grow box with CO2. So what’s the big deal about lighting? Give your plants the right amount of space and light and they will grow right before your eyes. Obviously, you know that plants need light to thrive, but don’t you want a lighting system that will fit your situation and fit your budget? There are a number of different ways to get the right amount of light to your plants. This e-book will show you where the deals are and also what to watch out for. Lighting can be the single greatest expense… and a critical component. Too broke to buy lights? How to get around this roadblock. Hydroponic systems do better in a temperature controlled environment, but there is a way to use hydroponics on the patio- if you will obey this one cardinal rule. The crazy way to get full spectrum lighting. Not only will you save money but your plants will have the closest thing to the sun. Your plants will think the house they live in is actually the Imperial Valley. You will get unbelievable yields- at a fraction of the price. Plants are all the same and have the same requirements. Right? Wrong! 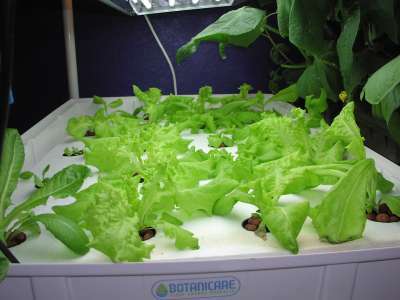 If you are only growing lettuce, you may not even need artificial lighting.On the other hand, if you want to grow tomatoes or anything that is going to have flowering buds, then you must provide the necessary amount of light and nutrients so the plants will have plenty of buds or fruit. I’m a little lazy… how much work is involved? Certainly you knew you would have to do something to keep the plants going. If there were shortcuts that would make maintenance so much easier, would you use them? There are two main things to monitor to ensure a huge harvest. What you must do to avoid getting eaten alive! 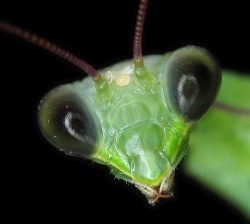 Believe it or not, bugs can wreak havoc, even in a spare bedroom. Chapter 14 shows you the easiest methods for keeping them away from your crops. Why organic fertilizers can stunt plant growth. Doesn’t make sense, does it? The trouble with organic fertilizers is they can be wildly inconsistent. If you are eager to use organic, wait till you are a little more experienced. The book will tell you the most potent fertilizer to buy… and where to get it. How you can pack “extra wallop” into a lettuce growing season by using hydroponics. Once you learn this trick your family will never be late for dinner again. Chapter 5 has tips to keep the veggies coming one after another, month after month. The magic numbers. Plants will grow best when the temperature is between 65°-78°. If you can keep your plants in this zone, you will have a mind-blowing bounty you can share with friends. The book shows you where heat comes from- and how to get rid of it. Do you remember your first garden? Remember how hopeful you were? 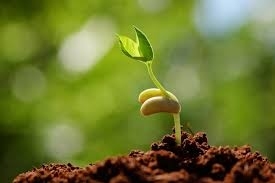 You prepared the ground, planted the seed, maybe put on a little fertilizer. After a few days the little sprout popped up out of the ground. This ebook is like a seed. It is a different kind of seed. Instead of a tiny speck, it is a plan. the know-how and a good set of plans. By getting this book you will be planting a seed. And enjoying a bountiful harvest. Bonuses, including maintenance schedules, mixing chart, CO2 supplementation, equipment lists and resources- Read all about the cool bonuses at the end of the page. Put this hydroponic farm in a closet!